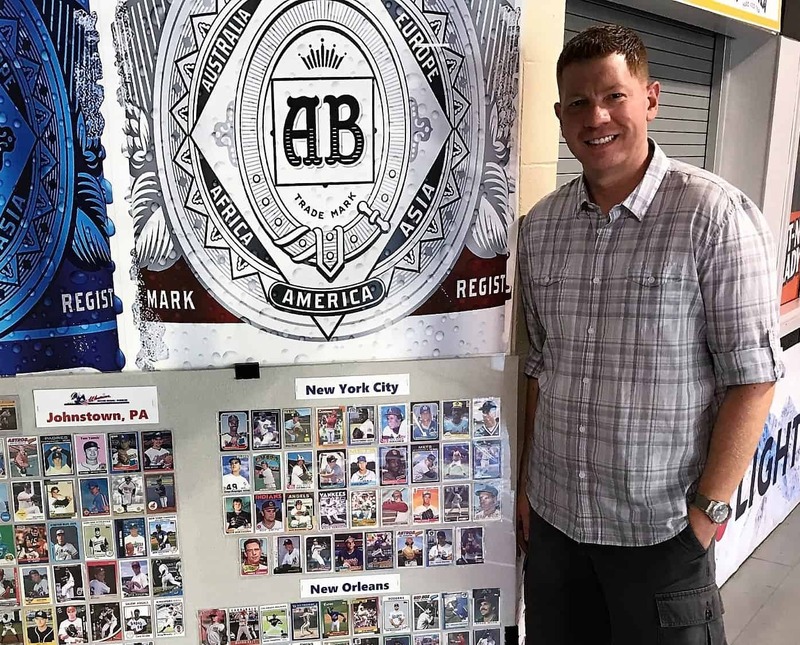 During each AAABA Tournament week since 1990, Rex Morgart Jr. has displayed an impressive collection of baseball cards featuring stars who participated in the annual event in Johnstown. 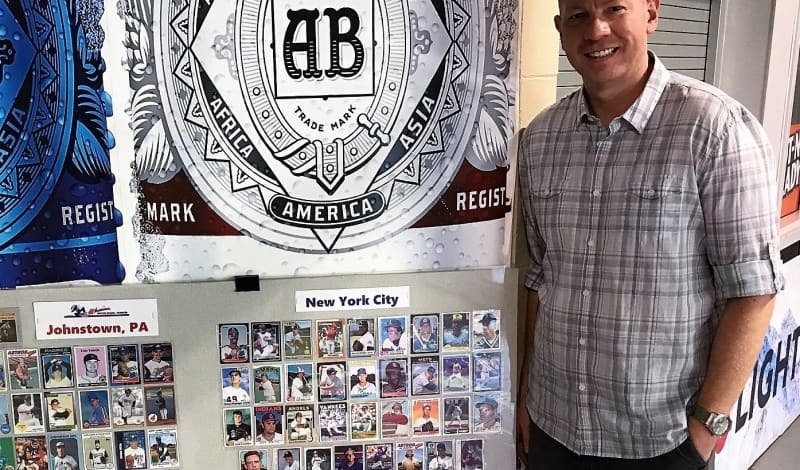 Morgart started the collection, which currently stands at 552 baseball cards, after finding inspiration in the late Bill Felix, better known as the Candy Man, who had displayed a similar collection at the former Candy Store on Market Street. 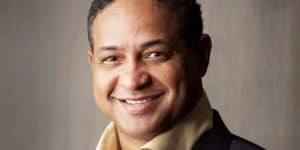 Nearly 30 years later, Morgart now works for the U.S. Department of Labor in Washington, D.C., and resides in Virginia. 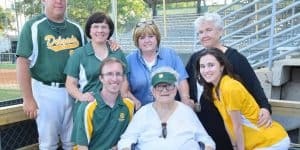 But the Johnstown native still returns to his hometown each August, and with the assistance of his father, Rex Sr. puts together the display. The four large “billboard” style displays were set up in the concourse at 1st Summit Arena @ Cambria County War Memorial on Aug. 5 as players, managers and coaches walked past to participate in the annual players banquet and tournament pairings ceremony. 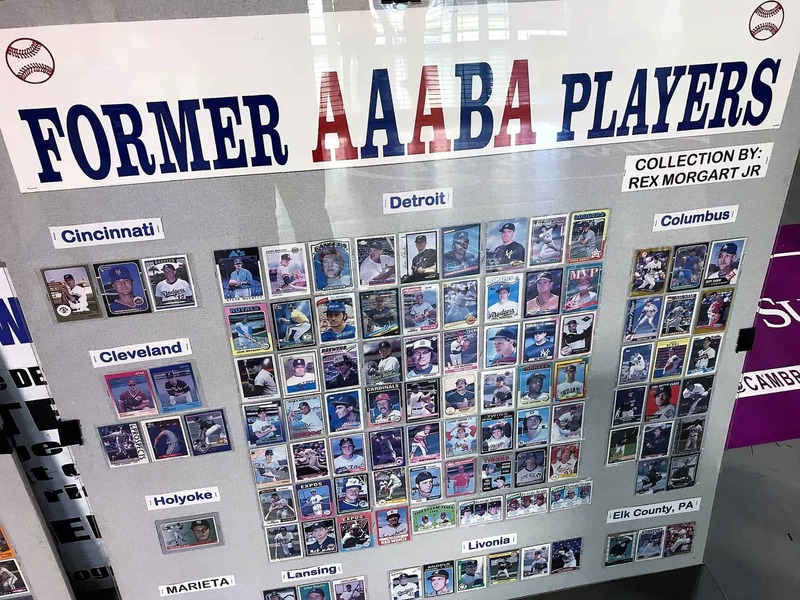 The collection is broken down by AAABA Tournament franchise city. 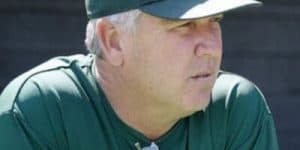 For example, every player from the Cleveland or Detroit or Washington or Baltimore franchise to advance to the majors or in some cases play pro ball appear under their respective city’s banner. 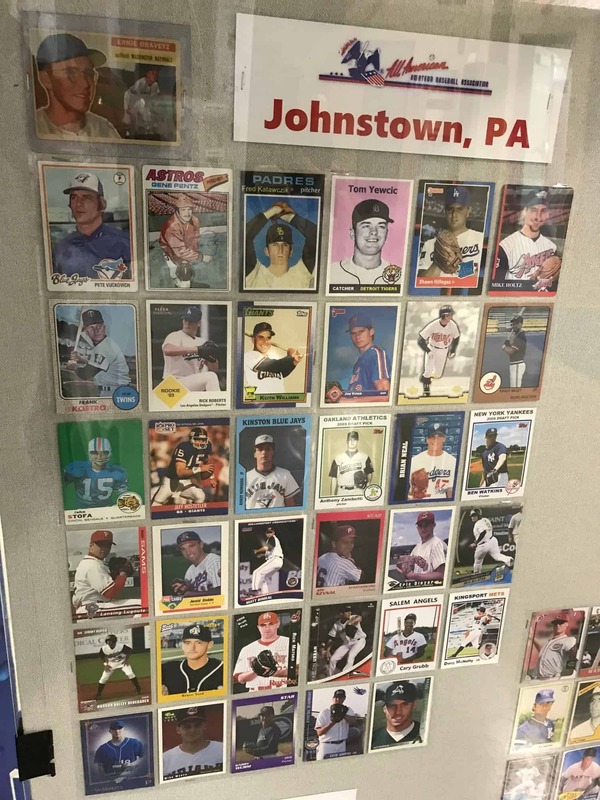 Host city Johnstown has cards for the likes of Cy Young Award winner Pete Vuckovich, Gene Pentz, Keith Williams, Mike Holtz, Ernie Oravetz as well as former NFL quarterback Jeff Hostetler. 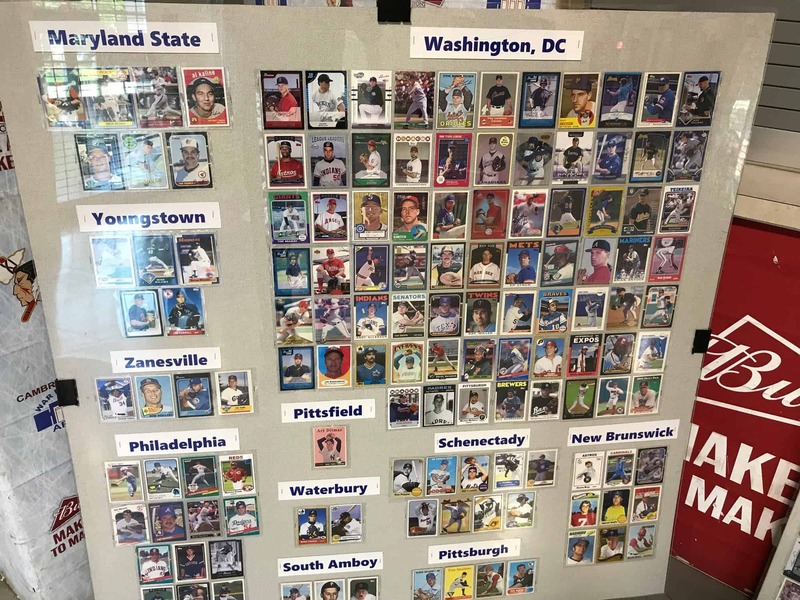 Maryland State’s Al Kaline and Baltimore’s Reggie Jackson are among the Baseball Hall of Famers’ cards in the display, joining Brooklyn’s Joe Torre, Lansing’s John Smoltz and Detroit’s Barry Larkin. 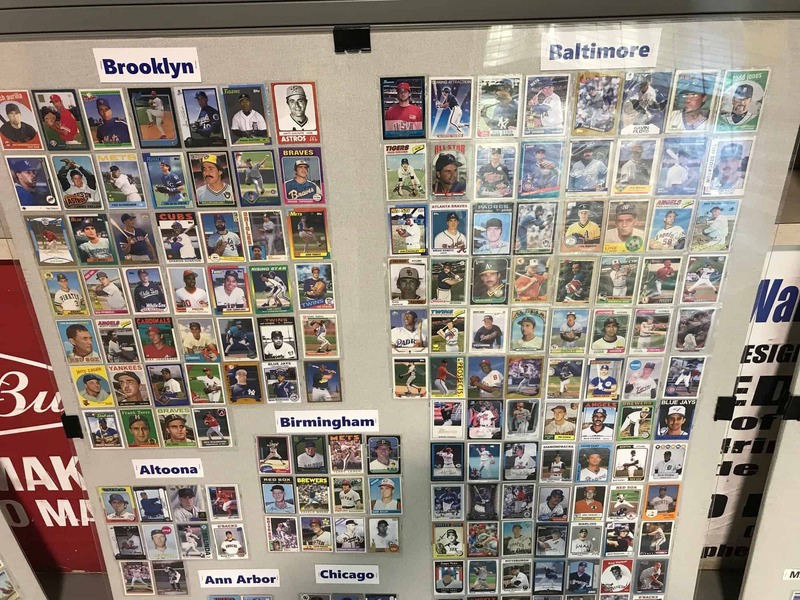 Rex and his father spent much of this past week updating the cards, replacing those faded by the sunlight after being on display in the windows at Suppes Ford across from the Point or previously on the sidewalk outside the Holiday Inn during registration Sundays. Rex Morgart Jr. said 50 new cards were added this weekend. The display will be at Suppes for fans to see as they walk to Sargent’s Stadium at the Point throughout tournament week. Note: Click on photo to see full image.